What Kind of Car is Best? We spent two weeks driving in Croatia in May of 2017. Starting in Zagreb, we drove to the coast via Plitvice, spent some time in Istria, and then wound our way down the coast to Dubrovnik. Here is what it is like driving in Croatia. That’s Motovun, in Istria, in the distance. We had to stop and pull over to gawk. Like the rest of Europe, when driving in Croatia, you’ll drive on the right hand side of the road. If, like me, you’re coming from a part of the world where you drive on the left hand side of the road, this will seem pretty bizarre at first. If you pick up an automatic vehicle it’ll be a bit easier, as that’s just one thing less you need to think about. When we were there, we drove a manual transmission car and I found driving most difficult in the situations where your natural instincts handle everything. Going around a round-about and wanting to change gears, my instinct was to do so with my left hand, so I’d have to consciously remind myself that I was about to change gear with my right hand. Out in the countryside, it’s also helpful to remind yourself to stick to the right when you pull out of your parking spot; traffic is often a good reminder of where you should be, and out in the country you might not have that to rely on! Also, get used to thinking you’re about to indicate your turn and instead accidentally turning on the windscreen wipers. You’ll find most rental cars in Croatia are manual transmission, though for a higher price you can find automatics. 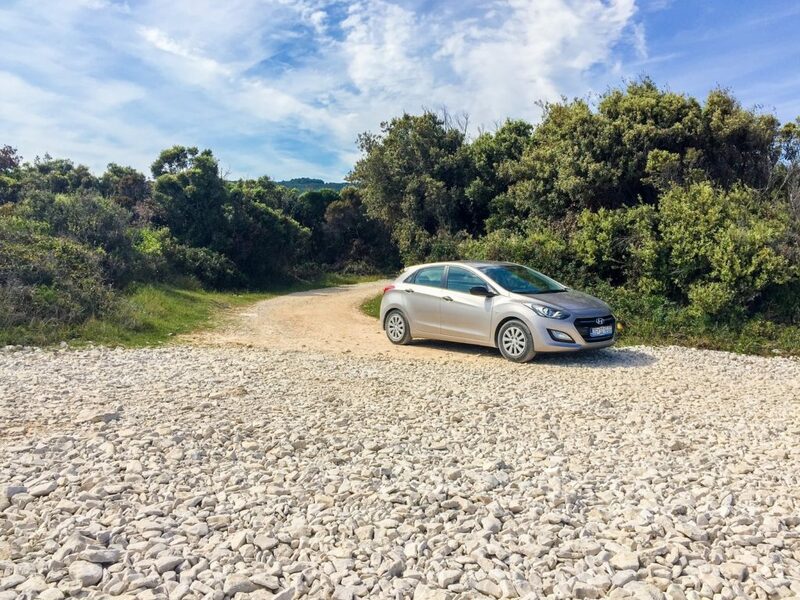 You can easily get by with a regular 2-wheel drive car, and if you’re planning on visiting some of the smaller villages, you might find the smaller the car, the better. If you’ve never driven a manual transmission car before, I’d definitely advise getting some practice in before you go ahead and rent one. Understanding the actions required while driving, and executing them in the moment are two different things! We were in this little Hyundai, and it served us very well. The little Hyundai we had took us everywhere without any issue. If you decide to go off the beaten track a bit (like we do), you’ll likely come across some lesser maintained roads, and even the odd gravel or dirt road here or there. These will likely be no worse than anything you’ve encountered in your country, and a small two wheel drive will be able to handle them fine. A quick warning: Be cautious when going too far off the beaten track. During the 1990s, Croatia was in conflict, and as a result there are some lingering landmines around the countryside. A good portion of the country is clear of these, but there is still a danger at times. Be aware of the usual pitfalls when renting a car (taxes, insurance, additional driver fees etc). 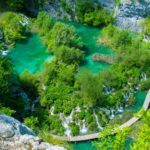 In addition to this, you’ll find that there are extra fees for border crossings (unavoidable when driving from the north to Dubrovnik, due to a tiny strip of Bosnia), and for taking your rental on a ferry to get to the Croatian islands. This is a huge travel destination and gets absolutely packed in the summer time. The airport (DBV) is well serviced with international flights, and has a large selection of rental car companies right outside the airport. From here, you’ll be about 30 minutes from Dubrovnik town, and in a good spot to start making your way north to the rest of Croatia. We spent several nights here exploring the town, and the nearby island of Lokrum. While you’re in Dubrovnik, you probably won’t need your car all that much (depending on which part you’re staying in). Another big travel spot, with an airport to match (SPU). Split is the second largest city in Croatia, so there’s plenty to see and do. 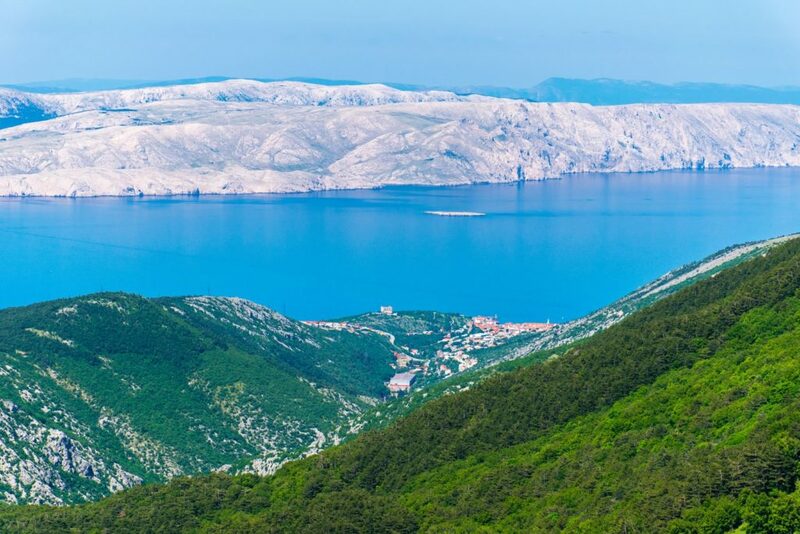 It’s also located partially down the Dalmatian coast, so you have the option of either heading south towards Dubrovnik from here, or to head north. Unfortunately we only had time for one night in Split. Having a car was great for us however. The accommodation we stayed in was excellent, but far from the attractions, so being able to drive around was a huge benefit. A word of warning though, the traffic in Split can get bad at rush hour! Zagreb has the biggest airport (ZAG) by volume in Croatia! You’ll find rental cars aplenty, and a great range of big name airlines. As a city, Zagreb is positioned a little out of the way from many of the major Croatian tourist attractions (the coast, and islands), but it’s a great city! Walk-able and varied, it is also a great starting point if you’d like to include some of the northern mountainous regions into your road trip. Plitvice Lakes National Park is not far away, so you can easily include it in your itinerary. We didn’t pick up our car until we were due to leave Zagreb as most of the city sights are very close together, so you might like to save yourself a couple of days of rental costs, and pickup the car right before you leave! Perfect for exploring the wonders of Istria. The Pula airport (PUY) isn’t serviced by the same variety of carriers as the other three airports suggested here, but if you’re happy taking an additional flight then it might be for you! Despite this, you’ll still find a good range of rental car companies to supply you. 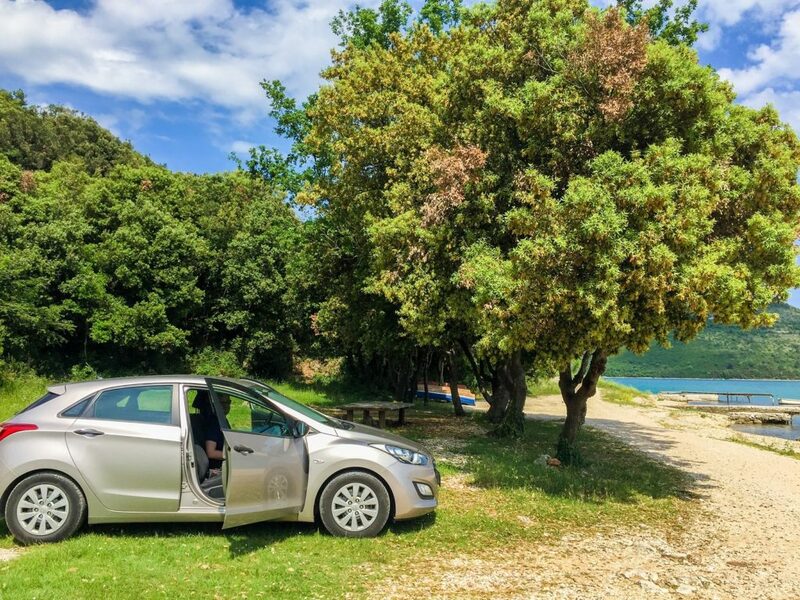 From here, you can really discover some beautiful Croatian countryside, and the fact that you’ll find some of the best olive oil and truffles you’ve ever tried, makes Istria one of our favourite regions to experience driving in Croatia. We stayed in a little cottage in the town of Galižana, just outside of Pula. Having a car in Istria is a must, as the public transport really only goes between the bigger cities. Overall, we found the roads in Croatia to be excellent! We took back roads, country roads, dirt roads, and highways. All of them were well maintained. Windy, twisty roads through the mountains (but so beautiful). That said, the other drivers on the roads can vary. Croatian drivers can be quite reckless, speeding and passing on blind corners and with limited room. On the other hand, you’ll likely come across plenty of tourist drivers as well who are often slower and more indecisive about where they’re going. Keep an eye out for both. When we were there it was the shoulder season, so while there was a good amount of traffic, it was nowhere near what it can be in the height of the high season (June-September). Aside from the big highways, most roads will only have one lane going in each direction, so when traffic gets backed up, you have no choice but to wait for it to move. 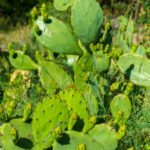 This gets especially bad as you get to the more popular areas in the south, along the Dalmatian Coast. For the most part, you’ll not have any trouble finding a petrol station. 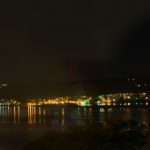 Even in the most remote parts of Croatia, you’ll still only be two or three hours from a larger town or city, and even a lot of villages and smaller towns will have a petrol station or two. Petrol prices are similar to what you’ll find around the rest of Europe (at the time of writing, about €1.24 per litre). We relied on Google Maps exclusively. That said, when navigating the small winding streets of an Istrian village, you’ll need to use some common sense as well. By default, Google will take you via the fastest routes, which often make use of the tolled highways. If you’d like a more scenic route, I’d recommend using the “avoid tolls” option. We did this throughout our trip, and this option pushed us into some fantastic routes through hills and mountains! Plitvice Lakes National Park to Senj via D52. The first stretch of this trip won’t blow your mind, but wait until you start descending from the mountains towards the coast. The first sight, with with island of Krk in the background is amazingly impressive, and the twisting roads which take you down are a lot of fun to drive! Rijeka to Vodnjan via D500. Leaving Rijeka you’ll not really have any choice but to take the main highway leading towards Istria, however you’ll ditch this almost as soon as you hit the peninsula. From the highway, you’ll wind your way up steep narrow streets, taking you towards and through Učka Nature Park. You’ll get some beautiful mountain views, and eventually zip past many an olive grove. Vodnjan to Grožnjan via D21. This is one of those perfect Istrian countryside drives. Again, you’ll see some beautiful olive groves all over the place (stop into the Chiavalon olive oil tasting room before you leave! ), and some simply stunning countryside. This route will take you via Motovun (see the picture at the top), and drop you in Grožnjan with plenty of time to shop for some delicious truffle products (perfect accompaniment to that olive oil from Vodnjan). The view from Grožnjan is beautiful, and is a perfect place to stop for lunch, or longer! Split to Makarska (or any of the other towns in the Makarska Riviera) via D8. Simply put, this is a stunning coastal drive. Due to some unfortunate circumstances (check out the Split section of this post), we ended up doing this drive 3 times, and it didn’t get old. If you’re doing it on a nice sunny day, the water will sparkle a brilliant azure blue, and the mountains will impress as they loom over you. If you’re looking for more route suggestions, check out this post over on The Culture Trip. We didn’t encounter any checkpoints while we were driving in Croatia, however we did see many police speed traps, and were pulled over at one point on our way to Plitvice for a random spot check (there was no bribe involved; they just wanted to check our papers). Make sure you have all your correct documentation, keep to the speed limit, and you’ll be fine. From the mountains above Senj. Overall, driving in Croatia has been one of our favourite road tripping experiences! You’ve got windy twisty roads through gorgeous mountains, and idyllic coastal roads next to azure blue waters. Coming down via the “serpentina” roads of the mountains near Senj on our way from Plitvice to Crikvenica was one of the most epic and striking drives we’ve taken! We spent 2 weeks driving in Croatia and while it was sufficient, we absolutely could have done longer. If you’ve got the time, my opinion is that you should spend as much as you can there! We were only in the Istrian peninsula for 4 days, and if there was one regret we had, it was that we didn’t have the time to fully explore this beautiful part of the country. Similarly, we really only visited Zagreb and Samobor in the north, and would have loved to spend more time exploring this region. Another part of the country which we enjoyed for only a day was the Pelješac peninsula. This was beautiful, sleepy, and quiet part of the south, compared to the areas surrounding it. Even though we only spent a day there, it contained one of our favourite beaches of the trip. Driven in Croatia? Feel like we’ve missed something? Let us know in the comments! I drove from Pula to Plitvice lakes also in May 2017! How strange! But loved this blog post, totally agree with your points! I hit the curb like 3 times because I wasn’t use to being on the right. Woah! We probably passed each other! We hit the curb, too. Whoops. And that’s amazing that you saw a wild bear! We didn’t see anything that cool! Thank you. I hope you get a chance to go there one day! Croatia is so beautiful! 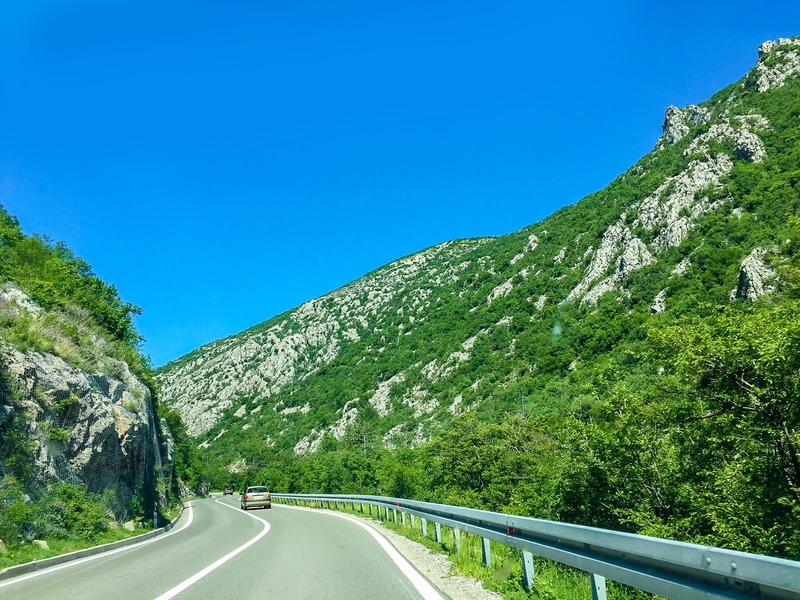 I remember crossing the Velebit mountains by car with my parent yeeeeeeaaaaars ago and that was pretty scary – massive drops, even some crashed cars down in the valley…but already back then, the roads were excellent! Hahah! That sounds like an epic trip! I hear you on the big drops: totally scary, but so much fun to drive. Sweet! Glad you enjoyed the visit! I hope you can road trip around! I’m so happy to hear this. Thank you very much. The landscape is just gorgeous! 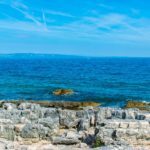 Your post makes me so much more eager to visit and spend some time in Istria. I’m planning a big European trip for next year and seem to be hearing more and more about Croatia. It’s looking like I’m going to have to carve out a nice chunk of time for Croatia when I’m in Southern Europe! I hope you go!! It is easily one of our favorite places on the planet and Istria is the cherry on the cake. Well worth a visit! It certainly is! I really enjoyed myself. I’m glad you found this inspiring. We rented a car in Croatia to drive to Bosnia and everything you shared is spot on!! Croatia is wonderful! I’m so glad to read this! I wish we could have seen more of Bosnia. 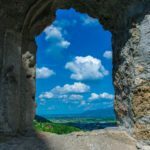 We want to go back to the Balkans and see more of all of this amazing area! Loved the videos and pictures. I really enjoy driving through areas like that back roads and winding roads make for a great time. Thank you! I enjoy it, too. We try to do as much of that as we can! Haha! It’s true! It can be hard adjusting to a country’s rules and regulations. Good luck on learning yourself! Driving yourself in a country is the best way to explore it really. But damn, i don’t know how to drive. This wouldve been perfect for visiting Croatia. As a big Game of thrones fan, im dying to get there! I hope you get a chance to go! But, it’s def a great way to see the place if you can get yourself around on your own! Yeah, I hear that! We got a little freaked as well, but it all turned out fine. Planning a trip for March 2019. I know the weather will be colder at this time, so I’m exploring different options of what to do during my time there. Did you find parking to be difficult during your stay in the various cities in May? That’s one of my main concerns for renting a car. Great question! 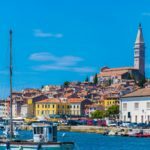 We visited several cities while driving: Zagreb, Rovinj, Rijeka, Zadar, Sibenik, Split, Dubrovnik. Being there in May, it did get crowded at times. Rather than spending ages looking for a park, we often opted to pay for parking, but that said, we didn’t find the parking fees to be very high. In March you’ll probably have much more luck, but some of the more popular southern cities might still be a bit of trouble if you’re looking for free parking. Just outside of the old towns of Dubrovnik or Split will be some of the busiest spots, where you’re the least likely to find parking. In these instances we usually just walked from further out (our accommodation in Dubrovnik was a short, but strenuous, walk from the old town). Dubrovnik also had affordable buses which are another option.